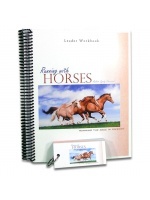 RUNNING WITH HORSES is a Bible study curriculum for anyone who is ready to saddle up and live the greatest adventure of all. This study is designed for students who are solid in their faith and desire to go deeper with God, delving into some of the most challenging aspects of our Christian walk. The 13-week study deals with the sacrificial life covering such subjects as humility, unity with God, and servitude. It is geared toward students who have received healing and do not have a lot of unresolved painful events. 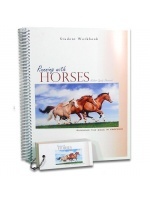 For a detailed overview of Running with Horses, read the curriculum outline.